I loved this beautiful, cutting memoir-in-essays by Terese Marie Mailhot, who grew up on the Seabird Island Indian Reservation in British Columbia. It's the story of a girl--loved, abused, and abandoned. It's the story of a woman driven to madness by what she doesn't want to remember and redeemed by what she's unwilling to forget. 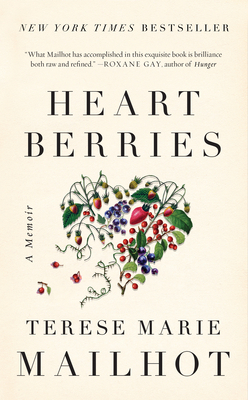 Heart Berries is a Native story, and it's an Everywoman story. Mailhot won't look away from the origins of her pain and with her spare, stark prose, she won't let us, either. TERESE MARIE MAILHOT graduated from the Institute of American Indian Arts with an M.F.A. in fiction, and received a Whiting Award for Nonfiction in 2019.